"Today, vascular brachytherapy is considered the Standard of Care for patients suffering from coronary in-stent restenosis. We find the Novoste™ Beta-Cath™ System ideally designed for use in the cardiac cath lab. Its portability, ease of use and radioisotope are ideal for this specific application." 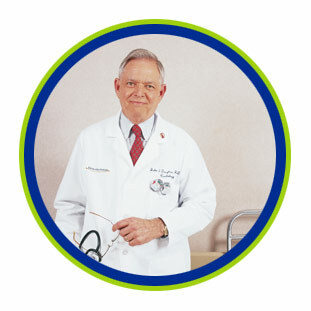 John S. Douglas, Jr., M.D. Novoste, based in Atlanta, Georgia, develops advanced medical treatments for coronary and vascular diseases and is the worldwide leader in vascular brachytherapy - radiation therapy delivered inside a blood vessel to prevent its reclosure (restenosis) following balloon angioplasty and other catheter-based interventional procedures. The Novoste™ Beta-Cath™ System is commercially available in the United States, as well as in the European Union, Canada, and several other countries. The Beta-Cath™ System is primarily used to treat patients suffering from "in-stent" restenosis, a condition in which coronary stents become blocked with new tissue growth. It is estimated that approximately 150,000 patients in the U.S. need treatment for this condition annually. Novoste has also initiated clinical trials to investigate the role of vascular brachytherapy to treat peripheral arterial disease and arterial-venous dialysis graft stenosis.